In Memoriam: Fr. Charles L. Moutenot, S.J. We pray in thanksgiving to God for the life of Fr. Charles L. Moutenot, S.J., who was called to eternal life on February 4, 2019. 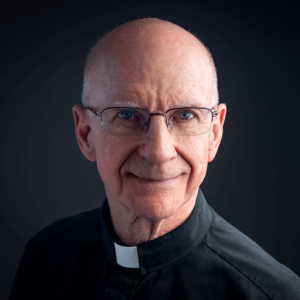 Before his passing, he served as tertian instructor at the JCCU Tertianship community in Portland, Oregon, where some Jesuits from the North-West Africa Province underwent their tertianship formation. Born on June 16, 1946, in New York, N.Y., he entered the Society of Jesus at St. Andrew Hall, Syracuse, N.Y., on August 20, 1975. He was ordained to the priesthood on June 9, 1984, at Fordham University, Bronx, N.Y. On October 19, 1995, Fr. Moutenot pronounced his final vows at the church of St. Anthony of Padua Bronx, N.Y.
Saturday, February 16, 2019–11:00 a.m.